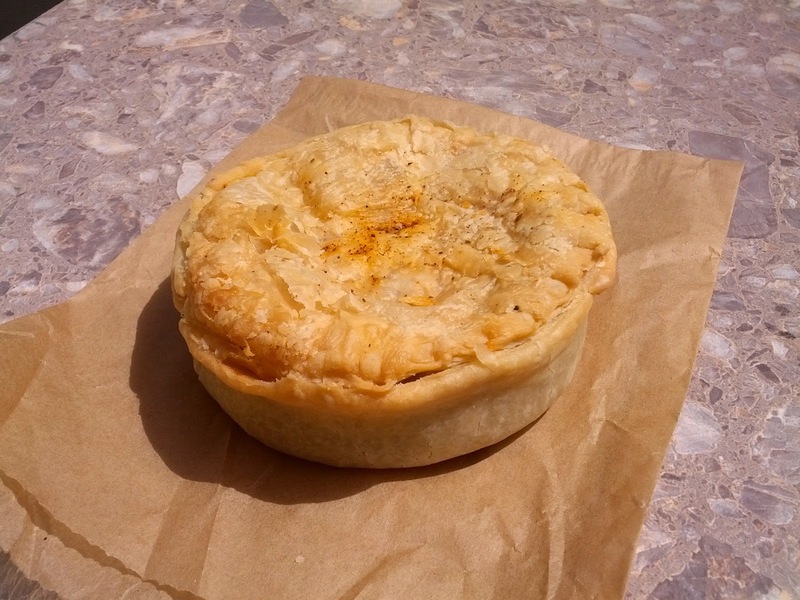 J's comment > this ain't the signature Aussie pie - got here too late and it was sold out! :(, but the Kanga Pie was a very satisfying alternative; the ground kangaroo flavor tasted like a really subtle ground beef, texture was practically identical to beef; not exactly a savory pie here, borderline sweet due to the sweet potato - the Aussie Puy Guy ("APG") nailed the sweet/savory balance on this pie; crust not as crisp as I remember per the Aussie pie, but everything held up as is the APG's signature; totally held together from the first bite to the last; BTW, do like an Aussie and hold your pie up! The APG pies will not fall apart! 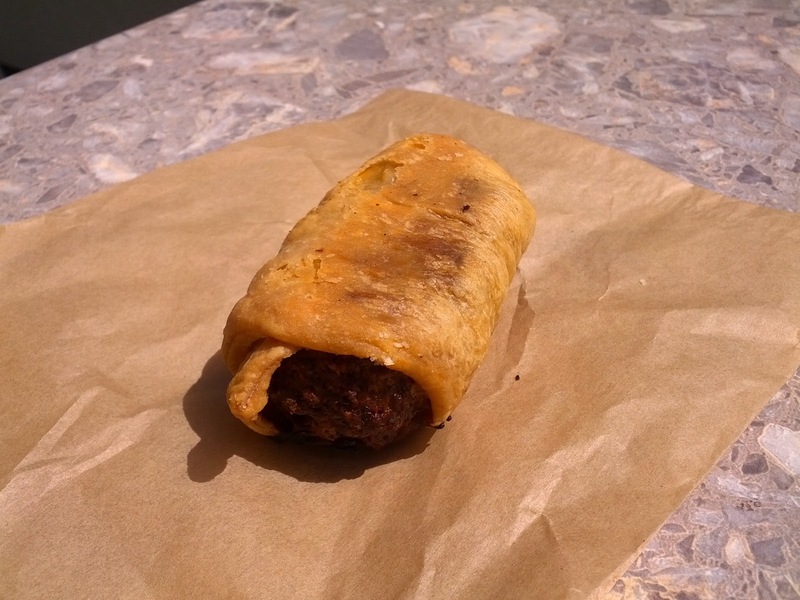 J's comment > sausage kinda dense, not nearly as good as the pies. 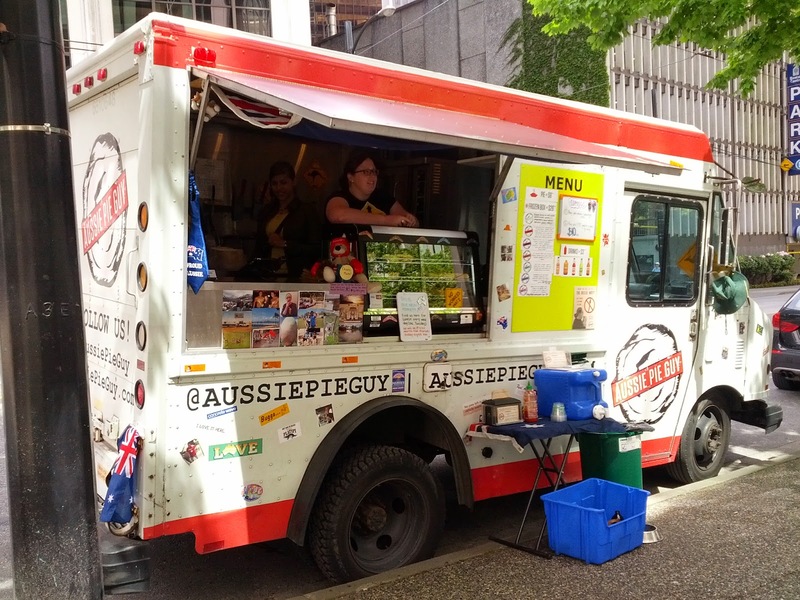 According to the signage on the Aussie truck, they'll be at Burrard and Pender permanently except Tuesdays. 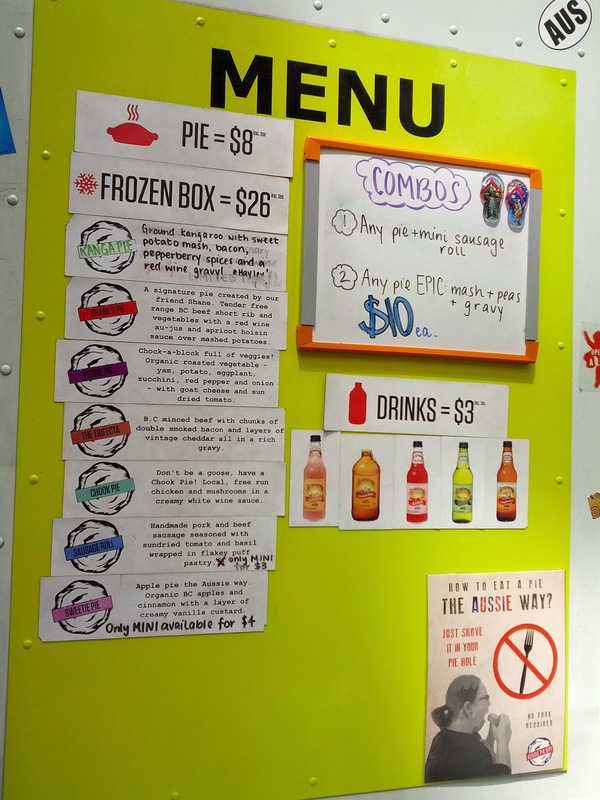 Don't forget to ask for a 'Frequent Pie-r' card!